Customer acquisition is all about convincing people to buy your products or service. That’s it. But it’s more complicated than you might think. You have to understand how people make the decision to buy (or to not buy). It all starts with lead generation. Unless people in your target audience know about your product or service, trust it, and respect it, you don’t generate any revenue. Then you have to convince those leads to convert on your offers to buy. What makes them tick? And how can you create a customer acquisition strategy that works? A customer acquisition strategy is the steps or processes you observe to convince consumers to buy your product or service. You want to test as many as possible for both inbound strategies (such as content marketing, webinars, and social media) and outbound strategies (such as cold outreach via email or LinkedIn and conferences), figure out which ones work best, then invest heavily in their implementation. 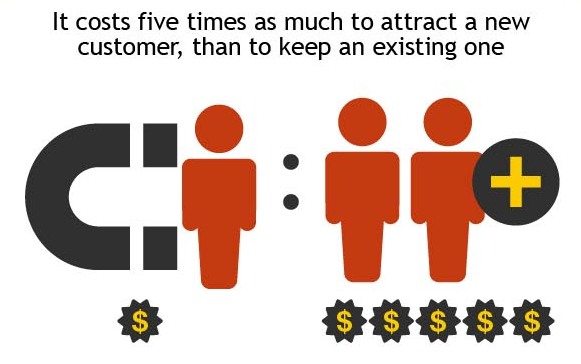 In other words, you need to devote both time and money to customer acquisition. Otherwise, you’ll likely miss out on lots of sales. Your customer acquisition strategy encompasses all your efforts to bring consumers to the final stage of making a purchase. It might involve lots of touch points, but you’re nurturing your leads so they’ll feel more comfortable handing you their money. Plus, your customer acquisition strategy is based on consumer behavior. How do people interact with your website? Your emails? Your social channels? Once you understand those behaviors, you can optimize your site for conversions. 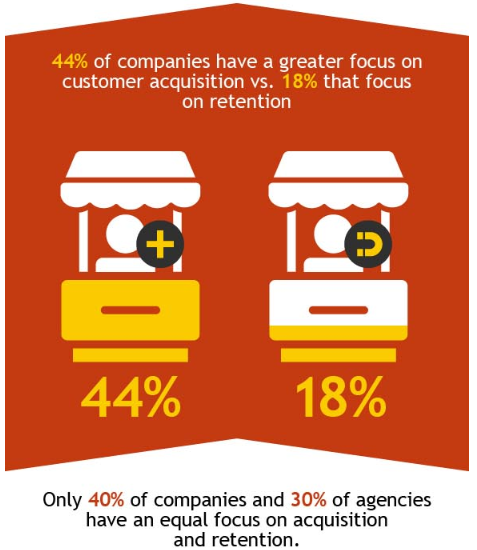 There’s a major imbalance between customer acquisition and customer retention among businesses and marketers. Let’s say that you sell an informational product, such as an online course or a book. You have just one product, so customer retention doesn’t matter much. You might want past customers to purchase copies of your informational product for family members and friends, but until you put out a new product, you need to focus more on customer acquisition. It’s all about what works best for your specific business model. I often tell people, regardless of industry, to start with just one product or service. Make it the best in the industry, then market the heck out of it. Branch out only when you’re ready to scale. Too many entrepreneurs scale before they’re prepared, which can result in a bankrupt business. What are the best customer acquisition techniques? How does customer acquisition marketing work? What can you do to boost subscriber acquisition? 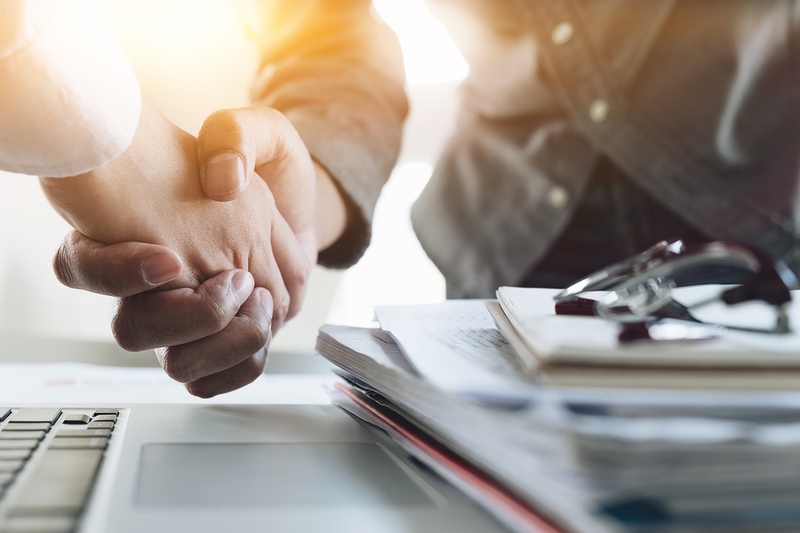 Are there new business acquisition strategies and tactics? As you can see from that brief list above, customer acquisition is a pretty broad topic. When it comes to getting specific, marketers begin to realize that the process starts with research and testing rather than copying somebody else’s playbook. Let’s look at an example customer acquisition process. What might it look like in action? In my example, I’ve just built an online course I want people to buy. I’ve launched a website, a few social media profiles, and an email marketing campaign. I’ll start by answering some fundamental questions. Send new emails to anyone who hasn’t opened other emails I’ve sent. Email influencers and bloggers to invite them to check out my course for free. Partner with another entrepreneur in my industry to exchange guest posts, social media links, and other outreach. 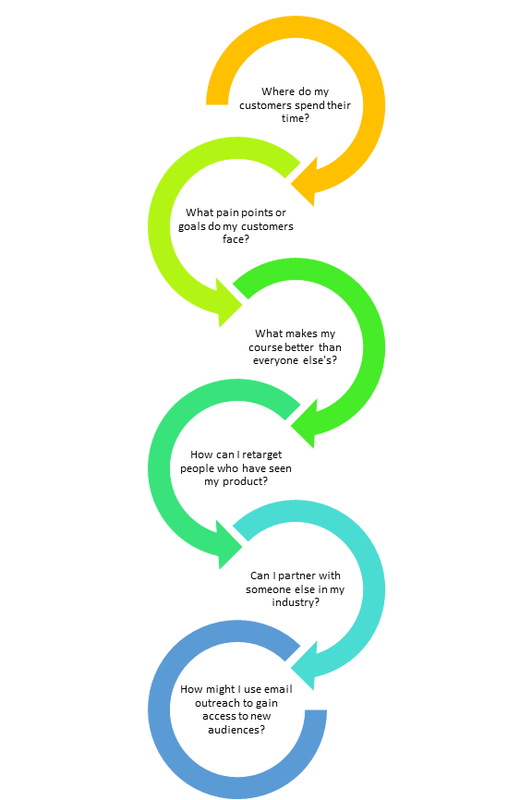 Revise my landing pages and product descriptions to address specific pain points and goals. Get active on online channels my customers use, from forums to social. Revise landing and sales page copy to focus on key benefits my course offers that others don’t. I’ve been in the marketing business for a long time. Trust me when I tell you that customer acquisition has consistently been a major part of my growth-hacking strategies. I want to grow my businesses as fast and efficiently as possible. To do so, I need a way to bring in more qualified prospects — and then convince them to buy. How? I come up with a theory or hypothesis, test it, examine the data, and pivot as necessary. It’s worked for me, so I think it can help you. You have to start with an initial customer acquisition strategy. It won’t be perfect — it might not even work — but everybody starts somewhere. Begin with what you know. Maybe you’ve done some market research or sold a different product. Perhaps you have reams of data about your target audience. Use that information to increase your odds of effective customer acquisition. Your customer acquisition cost is the amount of money you spend to acquire each customer who makes a purchase. In other words, it’s the cost of everything you spend — such as on marketing and advertising — divided by the total number of people who buy your product or service. Let’s say that you spend $10,000 over 30 days. You acquire 1,000 customers. This means that your customer acquisition cost is $10. Products can cost anywhere from $0.01 to $10 million or more. Those are obviously extremes, but you get the picture. Now, going with our customer acquisition cost of $10, we have to look at the average spend for your business to see how you’re doing financially. Let’s say you sell one product for $50. If you spend $10 to acquire that customer, you pocket $40. However, what if you sell your product for $2? That means you’re going into debt to the tune of $8 per customer on your customer acquisition cost. That’s never a good thing. Estimate what you think your customer acquisition cost is, then track it over time. Your goal is to reduce it as much as possible relative to the average spend on your website. Every conversion funnel looks different. Consumers tend to take the same basic route from brand awareness to purchase, but the specific touch points vary. You need to understand your conversion funnel if you want to figure out how to boost customer acquisition. You can start with other people’s research. 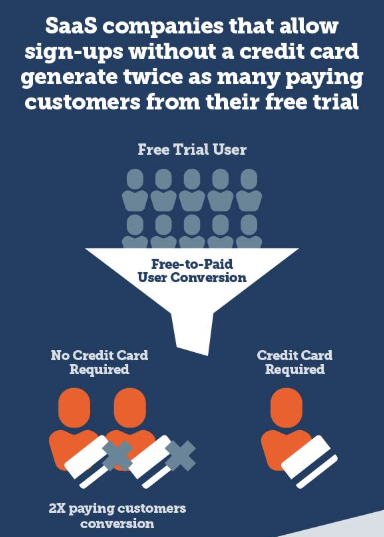 According to Invesp, for instance, SaaS companies can double their paying customers by offering a free trial with no credit card required. Using this knowledge, you could increase your customer acquisition odds right out of the gate. But you also have to think like a consumer. Let’s say that I need a new microwave. 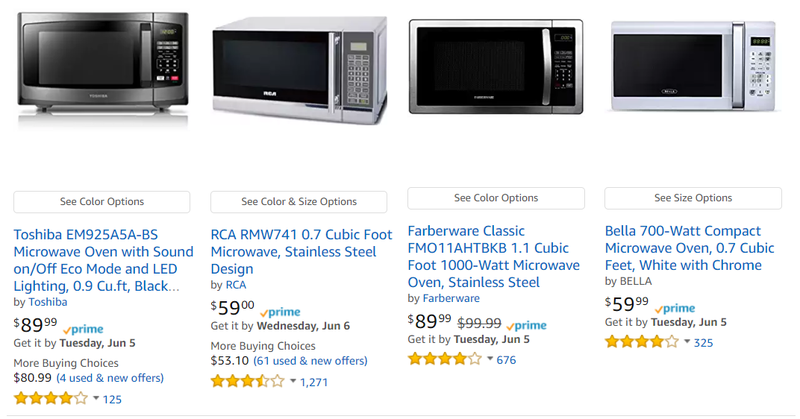 I’m probably going to hit up Amazon or a similar e-commerce store, read reviews on microwaves I like, and buy the one that seems to offer the best value for the money. That’s a pretty short conversion funnel. It’s also based on need — my microwave’s broken, so I need a new one if I want to heat up some leftovers from last night. But let’s say I’m buying a car. A microwave might cost $75 or so, but a car can cost $30,000 or more. That’s a big difference. For that conversion funnel, I’m reading articles, visiting dealership websites, taking test drives, and more. You have to figure out how people come to find your product and when and why they decide to buy it. Start by creating your landing pages. Each should have a single call to action — an invitation for the customer to fulfill a desired action. When it comes to customer acquisition, your landing pages should direct consumers to buy your product or service. 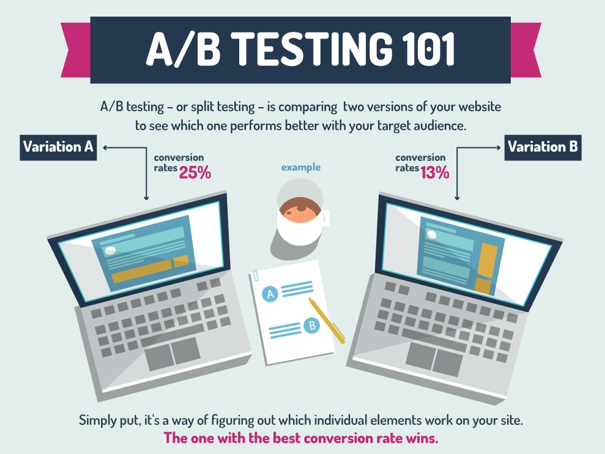 Running effective A/B tests can drastically improve your customer acquisition results on landing pages. If you don’t know what your audience expects, you can’t anticipate their needs and deliver. Using Crazy Egg and other tools, such as Hello Bar, can make A/B testing far more accurate. You generate data while improving upon other aspects of your website’s design, layout, copy, and assets. Start with your copy. You might change a single word in a headline on your latest landing page. Test the control against a variation. Finally, test the design of the page itself. Try a landing page with no navigation and one with a navigation bar. Choose a replacement image, make the font larger or smaller, or shift elements into new formations. Your calls to action (CTAs) are extremely important if you want people to buy your product or service. Without a compelling reason, consumers might simply leave the page. However, you don’t want to leave this up to chance. A/B test your CTAs until you’re sure you have the perfect version. Over time, your customers’ needs will change and evolve. You’ll need to continuously test your calls to action so you don’t miss out on recent changes in wants and needs. For instance, in a poor economic climate, price becomes the most important element in most consumers’ decision-making processes. After a recession, consumer confidence builds very slowly, which means that consumers want the cheapest price possible. If you know your customers make decisions based on price, you need to highlight your low price, overcome objections, and perhaps use discount codes and coupons to encourage conversions. You can also give the illusion of savings based on how you present your offer. 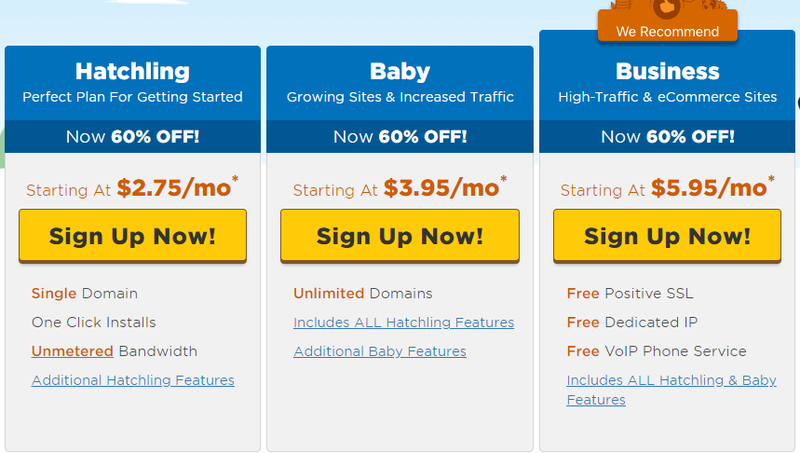 Here’s how HostGator designs its pricing table for its web hosting packages. Notice the “Now 60% off!” language as well as the “We Recommend” badge. Notice that the company recommends the most expensive option, but they help alleviate the pain point with the discount. Segmented email lists are far more powerful than one big list. Why? Because the people on your list are at different parts of the sales funnel. Some are at the top, just getting to know your brand and perhaps slightly aware of their desire to buy something you sell. At the bottom, though, they’re ready to take action. The types of emails you send should reflect those differences. Try segmenting your email list based on what you know about each person on it. You don’t even have to limit yourself to issues of funnel stages. You could also have a list for current customers you want to return or unengaged customers you’d like to bring back into the fold, so to speak. Once you’ve segmented your list, set up email marketing sequences for each category. Strategically guide those leads where you want them to go, whether you’re educating them with informational content or offering a coupon code for the customer’s next purchase. Do the same thing with your website copy and design. Relationship building can go a long way toward convincing a visitor to convert. Create a welcoming atmosphere on your website with casual language, lots of visuals, and promises you can keep. Focus your copy on prospective customers instead of your own business. In other words, instead of telling prospects what you do, tell them how you can help. It’s completely customer focused. The same goes for the body copy below the headline. Then, in the CTA, we see an obvious benefit: “Try Kajabi Free.” Simple and direct. This type of copy builds relationships and trust because the visitor feels that you actually want to help him or her achieve a goal, solve a problem, or get something desirable. We’ve gone over some of the most important tactics and techniques for improving customer acquisition, but what’s the end game? There isn’t one. Unless you intend to shut down or sell your business, you have to continually improve your customer acquisition process. That’s the only way to grow your business effectively. First, you start with automation. If you can bring in more people without any extra effort, you’ll start off ahead of the game. You can create a lead magnet, get active on social media, send out emails, and try different CTAs without any help. The manual route, however, leaves plenty to be desired. Tools like Crazy Egg allow you to make strategic decisions, then to test those decisions ad nauseum. Running one A/B test for a landing page, for instance, is great. Running ten A/B tests is much better. 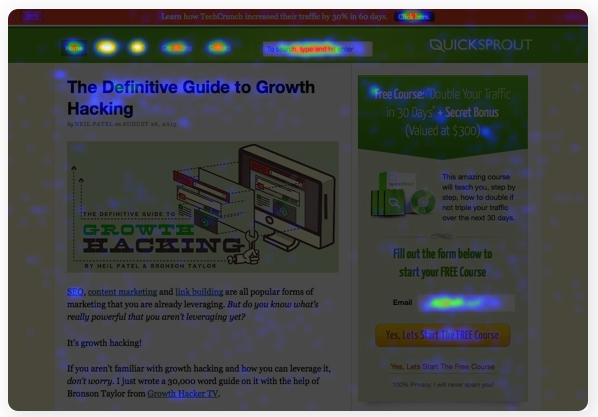 Start with Crazy Egg’s heatmap and scroll map features. They’re ideal for better understanding how your audience interacts with each of your pages.You can use that data to optimize each page for sales. Based on the data you collect, start running A/B tests. Figure out what your audience responds to best, then work on perfecting every element of your sales and landing pages. Sometimes the simplest changes can increase your conversion rate. Don’t miss the opportunity to put a change like that into motion. Once you get used to the testing and implementation process, it’ll become second nature. You’ll get used to making decisions based on data rather than mere whims. 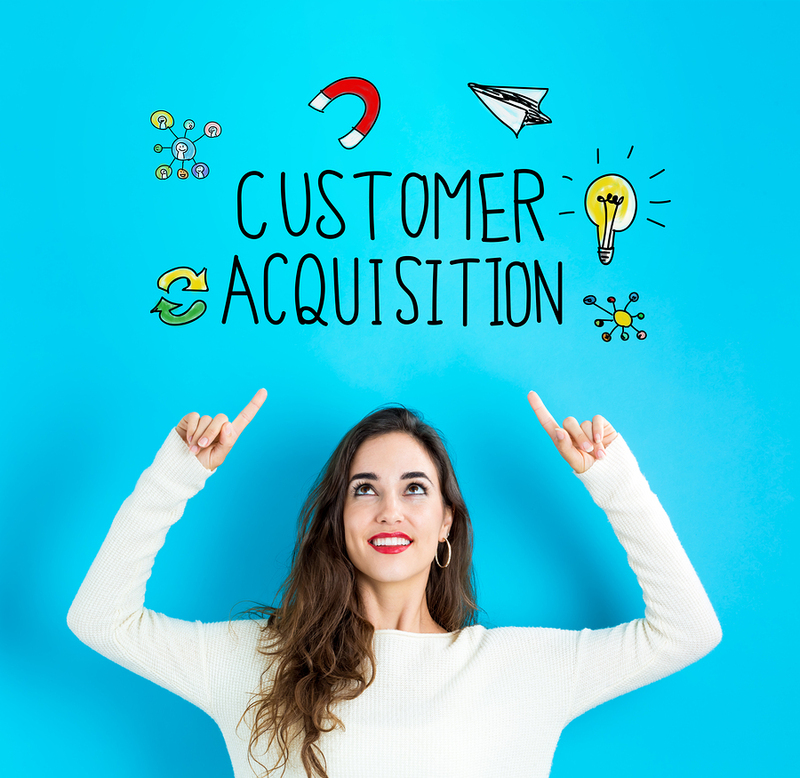 Customer acquisition is the process of convincing a consumer to buy your product or service. Sounds easy, right? Not so fast. You need a sound strategy in place if you want to convince website visitors to actually make a purchase. Think of all the websites you visited yesterday. Did you buy something from all of them? Or even from one of them? Understanding customer acquisition strategy can help you build a more stable business. Define a customer acquisition plan, estimate your customer acquisition cost, define your target audience, and start building landing pages so you can optimize them. Don’t forget to test. A/B tests help you refine your strategy further.